About 97 jobs in Biotech & Pharmaceuticals sector. 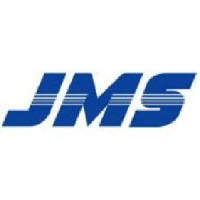 Immediate VacancyProduction Operator(Part-time/Contract) x 6Salary: $6.50 per hourWork Day: Monday to FridayWork hours: 8.30am to 5.30pm (NO shift work)Lunch ProvidedTransport to & fro Jurong East MRTJob Descriptions:Assembly of rapid test kitsOther related activities to support the assembly teamOther ad-hoc duties assigned supervisorInterested Applicants can contact or message me at 9666 4611 with your Name and Availability. •He/she will provide customized solutions in data analysis directly to our customers and also assist in any pre/post sales problems. •Bachelor with the right combination of background and experiences will also be considered. Overview: Ensures highest possible (sales) Demand Planning Accuracy for the SEA, Pacific & Korea region. •Experience in SCM related WINS processes and/ or SCM projects. •Have related experience and knowledge in customer service, logistics or supply planning will be preferred. •Adherence to EHS rules and regulations is required at alltimes. Proactive in highlighting areas for improvement. Lead cell culture, analytical or purification development activities as appropriate. •Execute practical stages as necessary with high levels of RFT. •Efficiently manage time both individually and of a team of direct reports. •Contribute to departmental organization strategy. •Draft (own reports) or review (team member reports) high quality reports suitable for HOD review which require minimal corrections. •Take a lead role in day to day dept management activities including housekeeping/team meeting. •Documentation of results in accordance with Lonza policies and current Good Manufacturing Practices (CGMP - where appropriate). •ProactiveIy suggests and executes approved operational efficiency projects. •Build relationships with Lonza UK SMEs/Sales/Business DevelopmenVLonza Operations to facilitate timely support and transfer of projects. •Contribution to Sales process (proposals/Sales presentations/laboratory tours). •Deputize for HOD for customer projects, the proposal process and business review. •Deputize for HOD for signature approval. •Management of cross functional teams. •Successfully leading and implementing a change. •Increasing business and financial awareness - P+LIMPR/GP. •Dept SME in one or more technical areas. •Track record of successfully delivering multiple project stages. •Management review and approval offin alreports/protocols. •Ability to lead multiple parallel project stages of increasing complexity. •Demonstrated continued personal development(technical and soft skills) and increased understanding of the scientific and technical theory behind Lonza and customer processes. •Increasing understanding of regulatory framework for development of biologics. •Increasing understanding of the IP landscape surrounding Lonza and its processes. •Troubleshoot complex technical challenges in customer projects. •Trainer in I or more areas. •Oversight of laboratory areas and/or methods. •Performing current duties and responsibilities for a minimum of 18-36 months and actively involved in effective suggestions for process, equipment and scheduling issues. Provide eyelash extension service (Single lash & Volume lash) . Conversant with clients and understand their needs.